The city is moving ahead with their plans to have storefronts along the street, by removing the current median and all of the trees. Dunwoody, I have made it a practice normally to not comment on decisions reached by the mayor and council. The school board is a different matter. Duing the great chicken controversy, I did privately tell some people my chicken policy was don’t ask-don’t tell and pave the roads. However, the recent Dunwoody Village Parkway controversy needs some clarification. The parkway was built by the developer and that is why there is no easement along each side. The Dunwoody Homeowners’ Association was responsible for the plantings on the parkway (Joyce Amacher and others). For the fiscal year 2008 and 2009, myself and other elected representatives and senators secured a $500,000 grant from the Department of Transportation. Eighty percent of the funds were provided by the Federal Highway Administration and the local government was required to fund the remainder of the total project cost. The plan was to use HOST sales tax funds for the local match (DeKalb County). A total of $54.6 million in federal funds were available in this frame and you can debate whether or not grants of this type are a good thing. Nowhere is there mentioned removal of the median so that biking paths can be provided. There is a place for biking paths but at that time this was not the intent of anyone involved in securing this grant. I do not presume to tell our city officials what to do. However, they may wish to not be influenced by what I perceive to be a vocal minority. Furthermore, they may want to spend money in the manner it was intended. Both of these items seem to be a common problem in all levels of government. This is my attempt to give some context to the broad news coverage of the Dunwoody Village Parkway project. The DVP project was first introduced to the Dunwoody citizenry during city council meetings held in early 2009. The city had been awarded a $500,000 grant to add sidewalks and streetscape (including attractive lighting, benches, trash cans and landscaping) to the parkway. This grant was secured by then state Rep. Fran Millar. Approval of the plan, the grant money, and the required matching funds were all passed unanimously by the city council. The community seemed excited about the project, as was I. In late 2010 and early 2011, the city held numerous public meetings to create a master plan for the both the Dunwoody Village character area as well as a transportation master plan. No description or artist’s rendering of a plan to narrow DV Parkway to one lane each way and remove the median were presented to the public or to the citizen master plan committees during either the Dunwoody Village master plan process or the Dunwoody Transportation master plan process. The city’s master plans were then presented first to the Community Council and, then the Planning Commission for approval – a procedure required by the city for even minor zoning changes and permitting. There were two readings to the council and, a public hearing for each of the master plans before the council voted for its final approval on each plan. This procedure provided the Dunwoody community ample opportunity to provide their input to each of the city’s masterplans. Again, because alterations to Dunwoody Village Parkway were not included in the master plan process, this procedure was not followed. and renderings of the plan to narrow the parkway by two lanes and remove the median. The new $2.4 million price tag would have been presented to the council for approval. The city manager chose not to follow this procedure either. The Dunwoody city manager circumvented all required processes and therefore the checks and balances put in place by our city charter which would have provided full disclosure to the council and to the public. Instead, he included alterations to the original Dunwoody Village Parkway plan as a 20212 budget item (which I voted against). Had the city followed the correct procedures, there would have been plenty of opportunity for public input and no need for public outcry. It’s time for the city council to go back to the proverbial drawing board. We need to focus on creating a Dunwoody Village Parkway plan that includes the elements we all agree on and find a better, less expensive way to achieve it. The council also needs to get back to basics by following the procedures set out for us by our city charter. 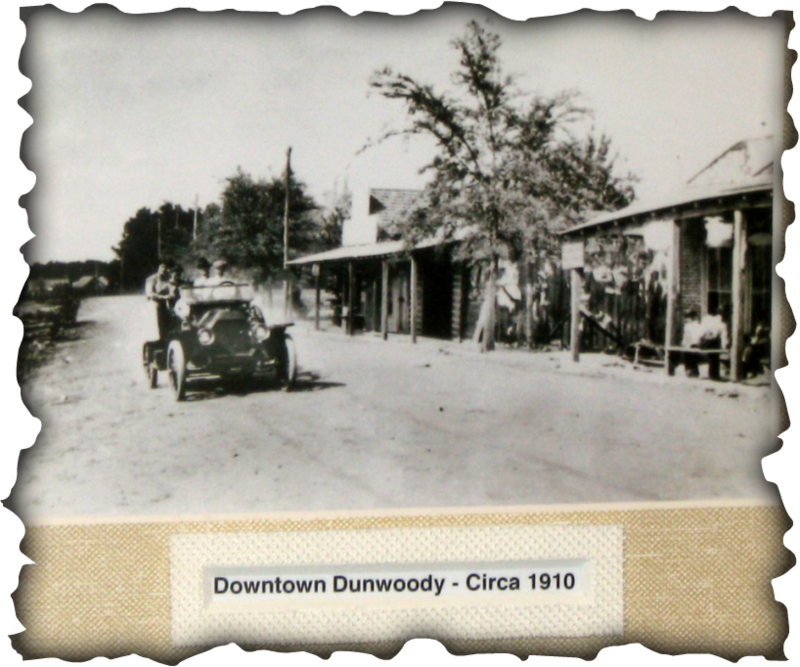 In January 2011, we attended a “visioning” session to give “citizen input” on the “Dunwoody Village Master Plan”. My initial reaction was disbelief. Why would the city have anything to say about the long-term plan for a privately-owned strip mall ? The process was illegitimate and designed to control citizen input, not collect it. Hired consultants asked us to choose between two street scape photos that bore no resemblance to the current village. It was clear that the two-hour exercise was designed to lead us to pre-determined conclusions. This was a farce that we learned later was duplicated across the U.S. This was a “cookie cutter” plan being promoted by the American Planning Association and a myriad of non-profit corporations set up by the U.N.
Word was that the real owners of Dunwoody Village had “no interest” in the city’s plan. Now the city is pointing to the “citizen input” as if it was legitimate, justify a $2.5 million streetscape project that doesn’t fit the current layout of building on Dunwoody Village Parkway. Our reaction was to object to this project. We see no reason to replace the post office, two banks, a Jiffy Lube, Goodyear, Ace Hardware and the Village Burger with mythical shops that fit in with the city’s mythical street scape. We think the city should admit that the “citizen input” was a scam and let the free market worry about the strip malls.